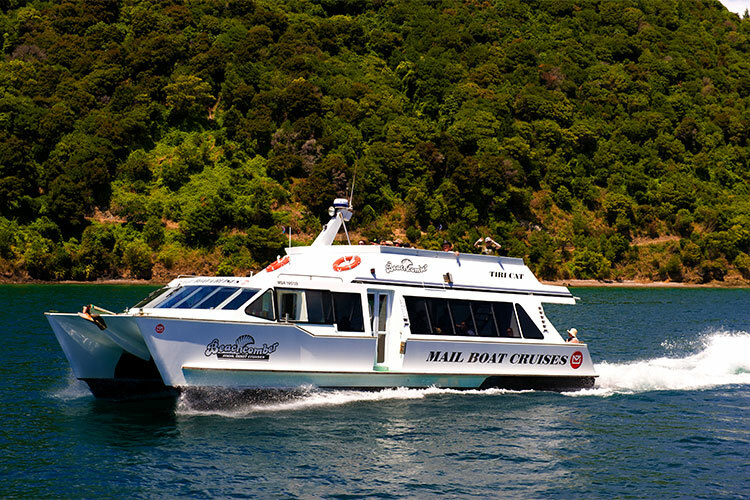 Join our 1.5 hour Cruise from Picton, this is the perfect cruise if you dont have much time to spare but want to get out and see the natural beauty of the Queen Charlotte Sounds as well as visiting our local wildlife haven. Cruising time of around 30 minutes and crossing the main reach of the Queen Charlotte Sounds will have you arriving at Double Cove, a sheltered haven of holiday homes, cormorants and our famous pet fish. After having cruised around the bay taking in some amazing water front properties and wild life nestled up in the cove, together we feed the pet fish from the vessel, Herein, mullet and Big Blue Cod are locals at feed time along with the birds that like to join in the fun. Departing Double Cove MV Tiri Cat will take you on a cruise of discovery venturing into Lochmara Bay, Onahau Bay and around the grove arm of the inner Queen Charlotte Sound. The cruising area is surrounded by years of regenerating beach forest, covering 15 nautical miles this two hour return trip will allow you to see some of the best of the Marlborough sounds in a limited timeframe.